Giving details of the steps taken to revive the sick corporation, Vijayan said the government was in the process of availing a loan of Rs.3,350 crore from a consortium of banks led by the State Bank of India. Congress-led UDF on Tuesday alleged in the Kerala assembly that at least 10 retired state transport corporation employees committed suicide in the last 20 months due to irregular pension payment under the LDF rule. The claim was made by the opposition front as it sought to move an adjournment motion to discuss the hardship faced by the families of more than 38,000 pensioners of Kerala State Road Transport Corporation (KSRTC), which is running in loss. The UDF members staged a walkout when Speaker P Sreeramakrishnan refused leave for the motion after Chief Minister Pinarayi Vijayan asserted that the government was taking all steps to pay the pension and also arrears on time. The issue was raised in the House even as KSRTC pensioners are staging a sit-in dharna in front of the secretariat here demanding payment of pension arrears. Earlier, moving the notice for the motion, former transport minister Thiruvanchoor Radhakrishnan (Cong) slammed the CPI-M led LDF government over the issue. He claimed that at least ten former KSRTC employees ended their lives due to financial problems faced by them owing to ‘stoppage’ of pension amount after the LDF came to power in 2016. Demanding that the government take up the burden of pension and disburse the same to the pensioners in view of the poor financial health of the corporation, Radhakrishnan said it was the ‘indifferent’ attitude of the LDF regime that led to the present situation. Discussions with the consortium had been completed and two banks have already approved loan to a tune of Rs.1,000 crore, he added. The government would ensure that pension amount was disbursed through KSRTC without any arrears, he added. Stating that the Corporation was severe financial crisis, Vijayan said total accumulated loss of the Corporation stood at Rs.7,966 crores as on 2017-18. Vijayan also charged the previous UDF government with not taking any steps to tackle the basic problem faced by KSRTC. 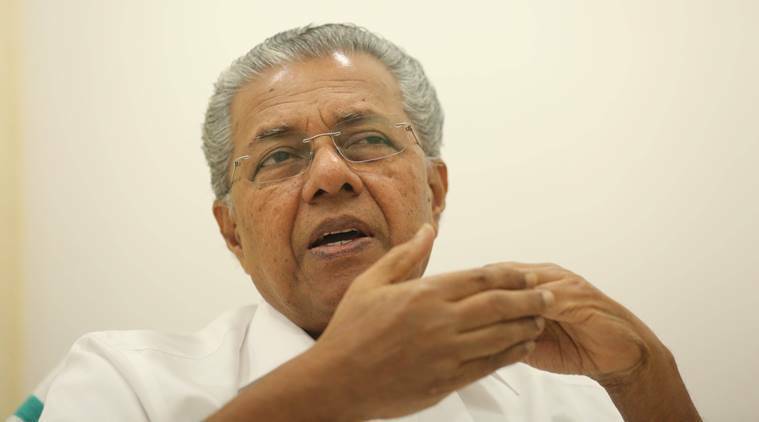 On the other hand, the LDF government had initiated a well planned programme to rejuvenate the corporation and make it capable of paying both the salary and pension on time, he said. However, Leader of the Opposition Ramesh Chennithala said Vijayan had not said when the pension arrears would be given and instead talking about rejuvenating KSRTC. He then led the UDF members in the walk out. Meanwhile, the agitating KSRTC pensioners said they would continue their protest till the government absorbed the pension payment.